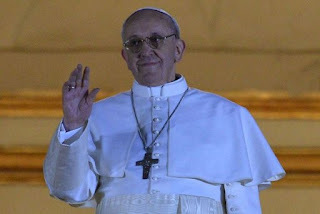 Cardinal Jorge Mario Bergoglio, 76-year old, of Argentina was the first ever Jesuit Pope. He was born in Buenos Aires on December 17, 1936. Bergoglio was also the first pope who chose the name Francis which seen as highly significant on the legacy of St Francis of Assisi. Pope Francis was ordained aa priest in year 1969 and just four years later he was named provincial superior of Argentina. And in 1997, Bergoglio was named coadjutor archbishop of Cardinal Antonio Quarracino. As Pope Benedict XVI resigned last month, Pope Francis is now ready to face all of the roman catholic church-related problem all over the world. Pope Francis is known as a humble man who spoke out for the poor and led an austere life in Buenos Aires. Meanwhile, President Obama congratulates Pope Francis for being the new pope and emphasized pope’s humble roots and New World background. Obama said, “As a champion of the poor and the most vulnerable among us, he carries forth the message of love and compassion that has inspired the world for more than 2,000 years — that in each other we see the face of God,” according to a message released by the White House. For the meantime, if you like the information about Pope Francis, please bookmark this page and share it to your friends on Facebook, Twitter and Google+. Comments or suggestions about "Jorge Mario Bergoglio of Argentina - Now Pope Francis" is important to us, you may share it by using the comment box below.